I hope so I'm not too old for this light pink fake fur coat. 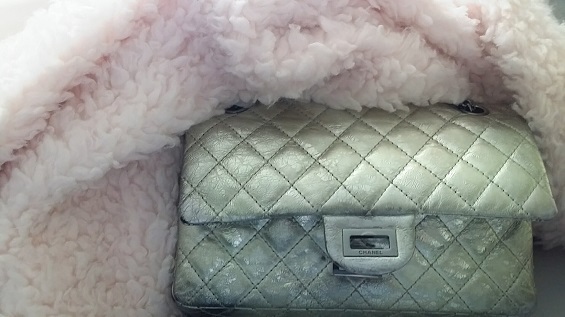 The warmer feeling stayed with me because it looks like a pink cloud and how perfect for the grey days and I will conjugated my favorite flap bag. Light pink with silver! It is meant to be playful, isn't it?